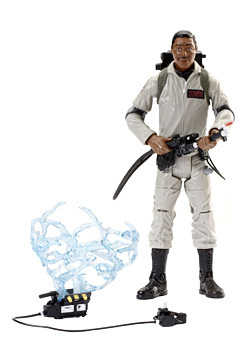 Now it’s Pixel Dan from That New Toy Smell who brings us a video review for the upcoming Ghostbusters 6″ Winston Zeddemore. Click here to view the video. I'm really curious to see if they're going to come out with a Louis Tully figure. 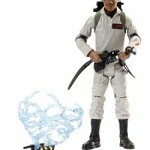 What I would love is if he had a proton pack ala GB2. I would buy that. Ear muffs FTW. I would have preferred Tully before Peck, but I'm sure there were issues with likeness rights and such. I hope that we get him, though. And a possessed Dana! Jesus Christ, it's about time. What took them so long?